Bats are flying mammals. 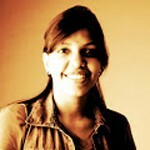 They have been popularized by pop culture references and especially through the Batman series. They are nocturnal and are mostly omnivores, with some, like the flying foxes, who are megabats, living on fruits. The small bats use ultrasonic sounds for echolocating. They are fascinating creatures. 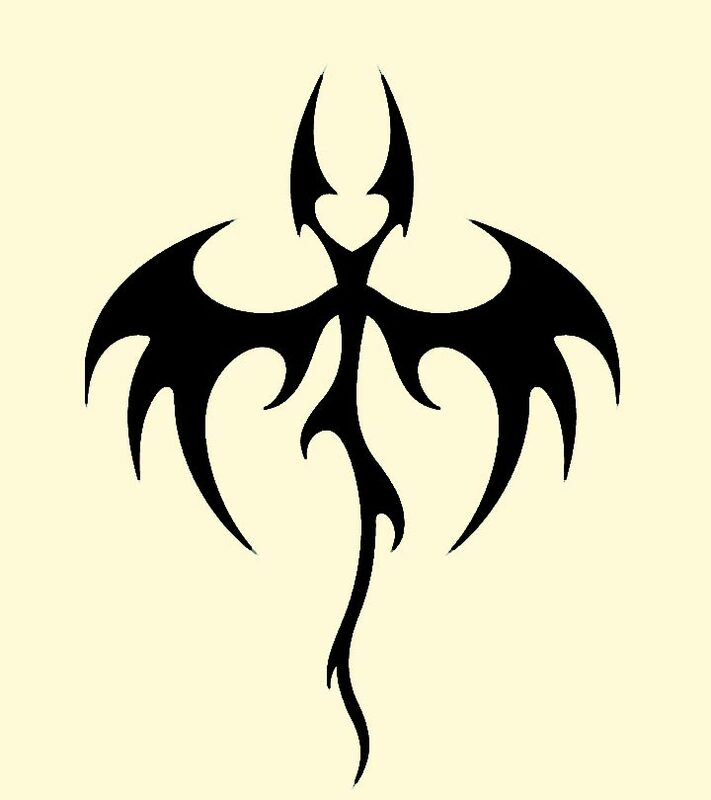 This is a goth tattoo meant for the back. It is done in black ink. It shows the silhouette of the bat. The tail is elongated and pointed like that of a demon. It is also given ears in the shape of horns to make it look demonic. The wings are made pointy and sharp, like claws. This is a very scary tattoo indeed. This tattoo is in full color. 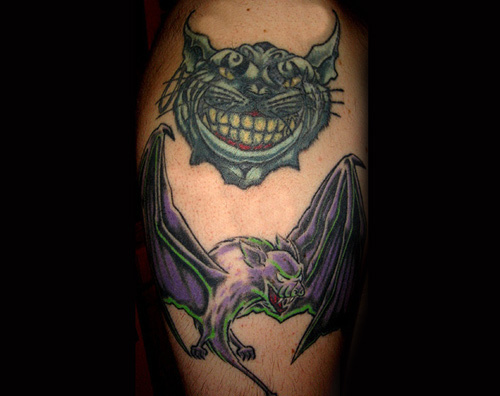 It shows a Cheshire cat on top and a purple bat at the bottom. The Cheshire cat is painted green and is seen smiling menacingly. The bat below is purple in color. It is seen mid flight and is in the posture of swooping down onto a prey. It looks terrifying. Its fangs are bared and the features of the bat are highlighted in neon green ink. This tattoo is in black and white with colored highlights. It shows a skull. 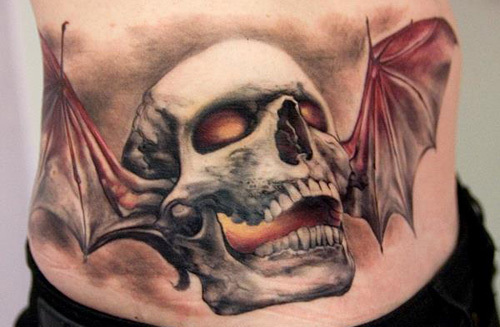 The skull has bat wings on both sides of the head. Fire is seen to be emerging out from inside the skull. Behind the skull, gray ink is used to signify smoke. This tattoo is in black ink. It shows the outline of a heart. The heart is hollow in the middle. The outline is made very dark and given ears and a tail to make it look like a bat. 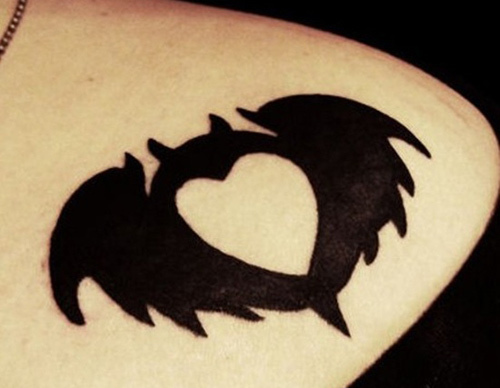 On either side of the heart are bat wings. These wings are filled in with black ink. This tattoo is in full color. 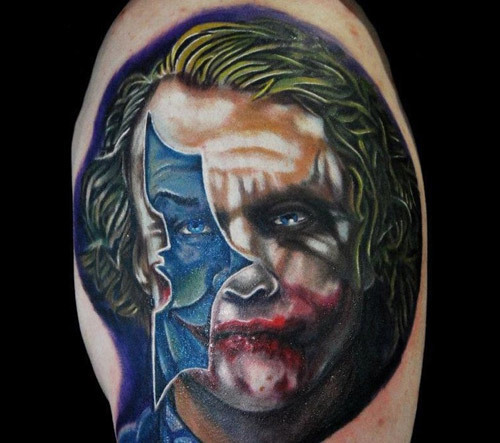 It shows the face of Heath Ledger as the Joker, from the movie, The Dark Knight Rises. He has blonde hair swept to a side. His face is whitish with paint and there are long red scars in the shape of a smile. Over his right eye is a tattoo of a bat. This tattoo is in dark blue ink highlighted by black. 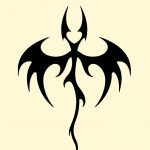 This is the symbol of the Batman. 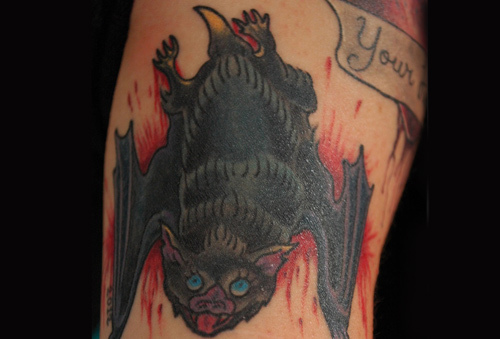 This tattoo depicts a vampire bat. It is hanging upside down and looking up. Its fur is dark gray or blackish in color. Behind it are blood splatters. Vampire bats are known to drink the blood of other animals. This tattoo is in black ink with white and gold highlights. 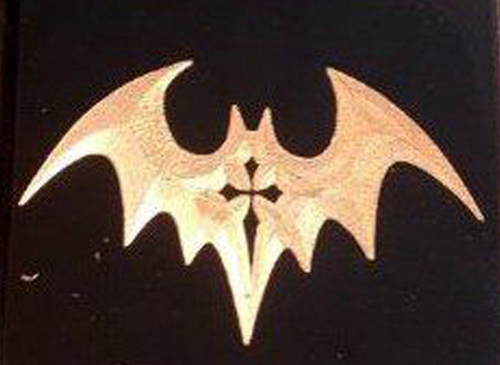 It shows a bat motif, or the silhouette of a bat. This silhouette is filled and in the middle, the outline of a crucifix is seen. 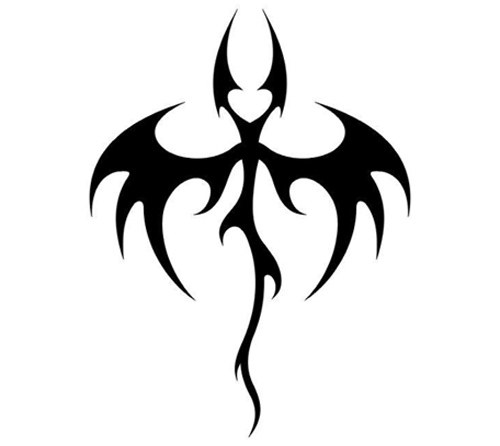 This tattoo is also in black ink. It shows the mask of the Batman from The Dark Knight trilogy. One side of the mask is seen to be composed of little individual bats that are seen flying away. 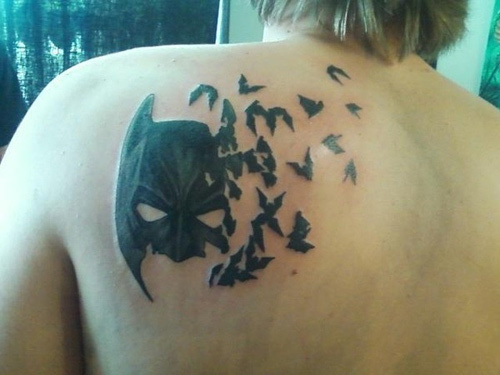 This tattoo is in black ink and shows four bats flying away. 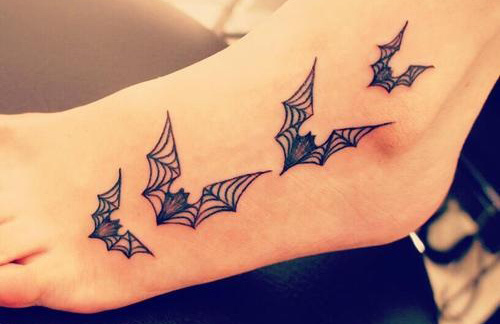 The wings of the bats are drawn as cobwebs. This tattoo is in full color. 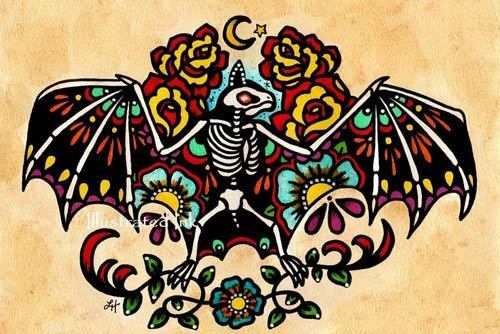 It shows a bat in the outline of its skeleton. Its wings are open. It is surrounded by colorful designs, like the yellow sun and flowers. So which design has caught your fancy? Do let us know in the comments below!